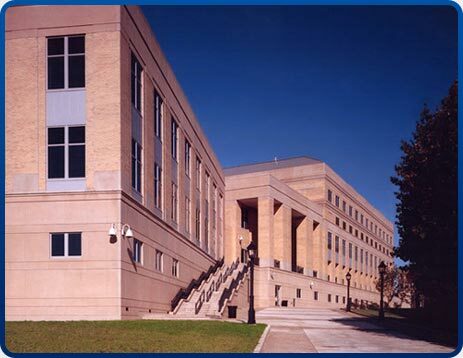 HANDICAPPED ACCESS to the Robert C. Byrd U. S. Courthouse is located beyond the pylons off Leslie C. Gates Plaza. The plaza is accessible off either Neville Street or Prince Street at the west end of the Beckley United States Courthouse. Elevators are available to transport you to all floors within the building. If you are unfamiliar with Beckley and need assistance in accessing this area, please call the Clerk’s Office at (304) 253-7481.